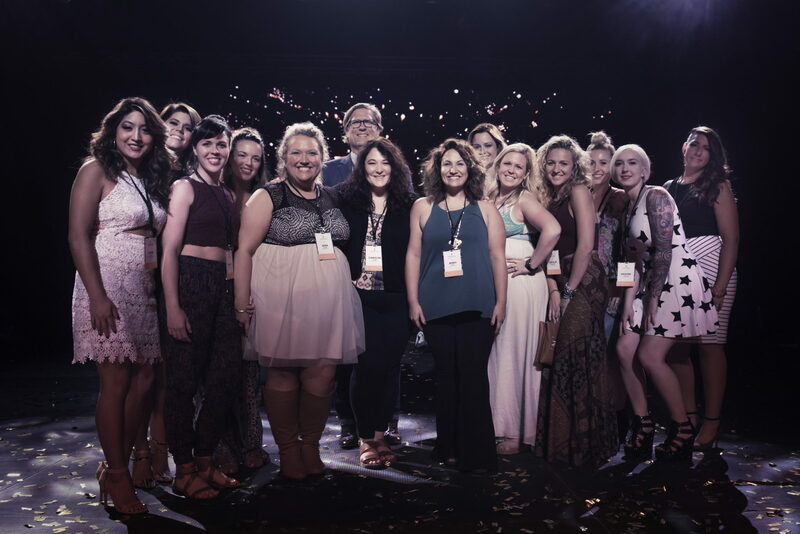 Stylists were treated by the much-anticipated annual Formal Styling class with our Master Stylist Alley Biehl. 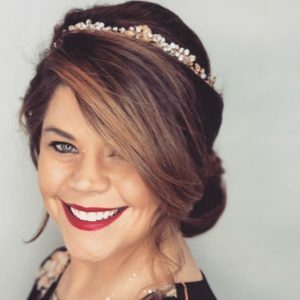 Her experience with event styling reaches back into her middle school years, styling hair for her family and friends for school proms and formals. 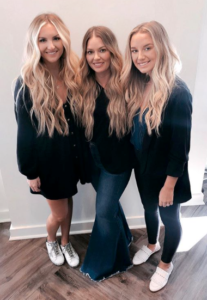 Alley’s class energizes stylists for the upcoming formal season by demonstrating skills behind red-carpet looks seen at awards shows such as the Oscars and Grammys. Alley demonstrated a reinvention of the “whimsical bride,” instead of a textured look she created a smooth modern bun, accented with a beautiful beaded head piece. Alley’s class featured two newly released Oribe styling products, Swept Up Volume Powder Spray and Free Styler Working Hair Spray. Swept Up is a volumizing powder that provides lift with an easy pump-spray application, and Free Styler was its perfect pair, providing equal parts flexibility and hold. HaloCouture offers you a totally unique and delightfully simple way to add thick, gorgeous length and volume instantly. Awarded by Modern Salon, Beauty Launchpad, and Cosmopolitan, this line uses genuine 100% Natural Remy Hair – the finest quality available. Applying them takes only a few minutes, so you can have Victoria’s Secret bombshell hair in an instant. These luxury extensions do not require glue, clips, or bonding of any type; a magically invisible wire and the weight of your natural hair keeps it secured in place. It is safe to use heated styling tools to create a variety of looks, from simply straight to beachy waves. We are happy to schedule a complimentary consultation with a stylist who can recommend a custom color and length. * Contact our Guest Services Team at (919)845-0098 to book your appointment. *All HaloCouture pieces require a haircut to seamlessly blend the extensions with your natural hair.